This week's challenge was to use those curves! What a break after using only straight lines last week. I thought I was doing well with my curves, but realized a few straight lines snuck in. Oh,well it looks rather curvy. Of other interest, we went to the wood show in Charlotte last weekend and this inlaid box caught my eye, so I thought I would share with ya'll. Love your curves! I think Inapod is my favorite design! Great work! Lovely response to the challenge. 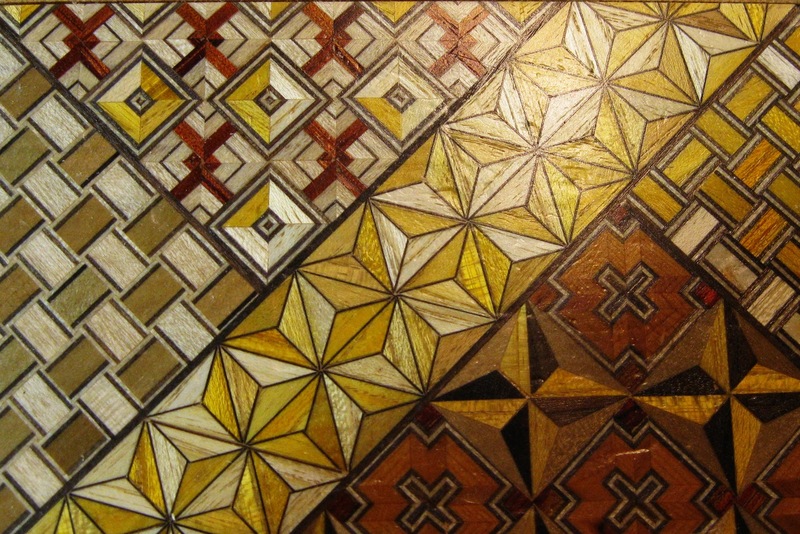 Thank you for sharing the photo of the inlaid box--it is beautiful! 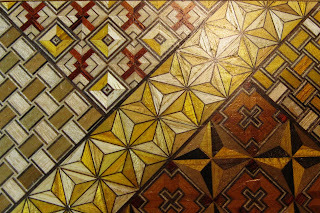 Beautiful curvy tile and inlaid box! Patterns are everywhere. Wonderful tangle! Don't ya just hate when those straight lines sneak in there? And I would love to have that box! Beautiful! I love Coaster, and Inapod too although I don't use it often. And what an amazing box! Thanks! Well, I don't see the straight lines, so they must be curvy enough to fit in! Beautiful! I dont see straight lines anywhere, just a thing of beauty, great job !!! Thanks for visiting my blog....!! 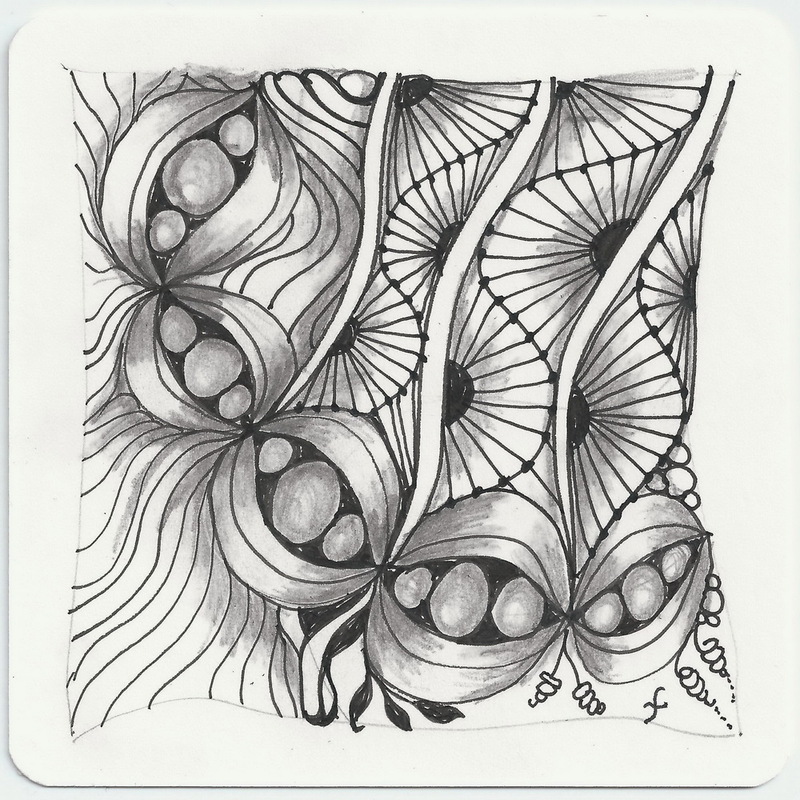 Great Joni, your tile is extemely effective, I like the way you separated Coaster with the wavy lines. Oh yes...love the box! this is awesome, I love it (and what a cool box!!!) 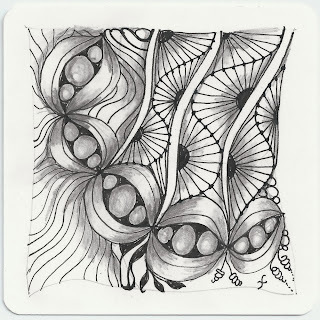 do the little things down in the bottom right corner of your zentangle have a name? love the curves - very playful and beautiful box - almost looks like a zentangle. PS...that drooling was in response to your tile but the wood work is lovely too...thanks for sharing! Very beautiful,both tile and box. I don't mind the straight lines,they seem bent to me if I look long enough. It's beautiful and it makes me happy because it looks like it's laughing!